Many students are confusing Social media with Social networks, because these terms are used interchangeably. And hence a few students are talking about social networks when the GD topic is about social media. There is a difference between both, though they are not mutually exclusive. Social network connects people. For example, a trekking group in Facebook brings people of the same interest together. It’ll be a network of people who inturn build mutual connections. Whereas social media is used to share content. 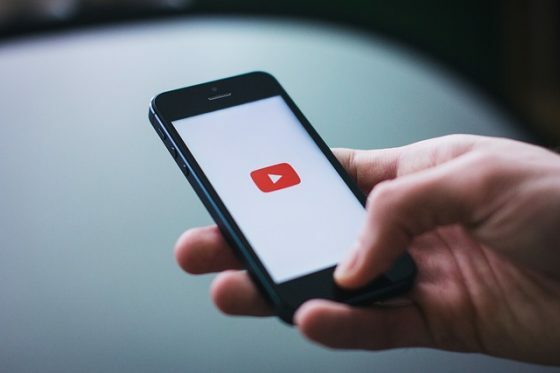 For example, YouTube can be considered as social media, because through YouTube, people share their views, information and ideas. Blogs are also considered as social media, because it generates content and shares it with followers. Social media beats Traditional media (TV, newspapers etc.) in engaging with followers. Social media and social networks are not mutually exclusive. Social network facilitates the development of social media and vice versa. For example – Facebook, a social network is also acts as a social media, because people share content on Facebook with their network. And a blog, which shares content can also able to build a network of people that are interested in their content. For example – A blog for new moms share content and can create a network of new moms as well. Social media gave access to varied opinions and thoughts of people of different cultures and different regions. This has the power to make people broad-minded, to challenge stereotyped views on particular communities and to develop mutual respect among people of different backgrounds. People are expanding knowledge through social media. Most of the social media content creators encourage people to pursue career they love, to take care of themselves, and to learn new skills etc. This creates a positive impact on human behaviour. Traditional media (Print media, Television etc.) was the only medium until recently to reach people. Not everyone could share their views and information with people. Most of the traditional media channels are in the hands of big businesses. Social media enriched democracy and equality by enabling everyone to send out their content to a larger audience. Social media gives voice to minorities and vulnerable sections. For example, more and more women are voicing their opinions through social media, who were otherwise not encouraged to speak up due to cultural norms. Another example is that differently-abled people are sharing content to encourage people who have the same problems, and are voicing their thoughts to government and society. People are collaborating for good. Tweeting by hashtags, they are pushing governments to do their duties. Social media has a stake in improving society. For example, social media played a great role in Arab Spring. Many people became celebrities through social media. This is encouraging many others to become celebrities. In the process, some are turning into self-obsessed and narcissistic. Social media is also encouraging violent behaviour for many. Before the internet era, people could not harass others easily. But now, anyone can easily harass and threaten others by hiding their identity. Most of the social media content creators face cyber bullying, threats and trolling. People, who are used to harass others online tend to develop more violent behaviour. Some people, especially teens suffer from anxiety and depression when they face cyber-bullying. Some youngsters are suffering from low self-esteem levels because of watching many people showing off their talents through social media. Social media has the power to instill anger in people on particular people and communities. This anger is carrying forward to real life. There are plenty of content on social media on makeup and beauty products. There are so many makeup channels on YouTube. With high quality videos and images, people are promoting products to improve outward appearance. This is causing people, especially girls to give too much importance to beauty. Fake news is causing panic among people. This is inturn leading to hatred and clashes between communities. It is also promoting gossiping and causing damage to reputation of people. Social media is the major reason for making content viral. However not all viral content is trustworthy. There are many incidents of fake news going viral. Recently a few people are lynched by mob in separate incidents. This happened because they believed fake news that said child traffickers are roaming in their area. Innocent people were murdered as the villagers thought they came to their area to kidnap children. Powerful people are using social media as a tool to impose their ideologies on people. For example, now political parties are creating lots of content on social media to influence and manipulate the views of people on governments and political parties. Trolling is one of the major negative consequences of social media. These politically motivated tolling is also very common. Militant groups are also using social media to influence and manipulate youngsters to join their groups. Big businesses have an advantage of dominating others in their field. They spend huge amount to create high quality content in their favor. They can also drive more engagement through advertisements. Materialism is being encouraged a lot through social media. Social media is being used as tool for data mining. Though there are some negative effects, social media can be considered as a boon to society. However serious steps should be taken to mitigate the negative influences of social media like fake news, trolling etc. Cyber protection cells and Artificial intelligence together can solve these problems to a great extent. Along with that, ethical values should be imbibed in schools and colleges. Awareness programs help people to know about the good and bad sides of social media. What is your opinion on this topic? What are your thoughts on social media? Join in the Group Discussion by adding your views in the comment section below. Subscribe to our blog to read answers to trending GD topics. Social media can be considered as a new religion, society, organisation or what ever. One is free to join , ognore and leave at any time if joined. social media if i talk in broader sense , really helpful for all age group but constraint lies in mindset , when the happiness and joy of other matters you no more and there your self esteem comes into picture . Social media is very popular now a days like youtube, blog , twitter etc. According to me it is boon for us. For example you learn everything on youtube also you earn from it so youtube is a best platform for learn and eaen both. If someone have talent to write good content then they start bogging and earn from it and share their knowledege to others. I think it have both positive and negetive impact like by seeing others peoples pictures they share we got to know that wats going in their life and the same time ae used to think that our life is very boring and others who are posting pictures have a interesting life. One more disadvantage of social media is that nowdays in an internet age people are not living a real life as they are faking happiness for the sake of posting pictures in social media couples goals friendship goals etc etc in real life there is no such relationship which is been shown in the pictures. People started wasting their time in clicking selfies and pictures rather than enjoying those movements with the loved ones . As it completely depends on us tht in what way we are taking the posts of others ..if they are your friends then you will be ecstatic for them as they are enjoying there life …. Everything has pros and cons. Social media has too.If we use social media in limited way or whenever we need then it is not harmful but you know well guys Excess of anything is bad .There are plenty of students they are being disrtracted from their studies coz of social media . It has well said ,”An empty mind is devils workshop” Whenever they are free they use social media and they get addicted to social media.If social media polish our knowledge ,it decreases too .There are lots of fake news Few months back , when supreme court was changing something about investigation in Sc/St act that time people got confused bcoz they read in social media that Reservation is being finished . social media now is a breach from anyone can penetrate into your personal space , instigate you, allure you, change your view , agree with you and disagree with you .. it can move forward big movement like THE SILENCE BREAKERS, and also rises the evil motives of ISIS, you can question the govt directly and anyone bullies you directly . it has both side which goes parallelly ..
Social media and social networks are not mutually exclusive. Social network facilitates the development of social media and vice versa. Need of the hour is to create awareness among youth population on proper and prosperous use of these devices. There should be a compulsory age restriction for using social network because children are curious through the new content and they don’t have enough knowledge to react. For example “BLUE WHALE” game this was popular because it was a game and children and they don’t know the cons aspects of this game and this leads to many death 90% recorded as school child. However this game was popular through social media.